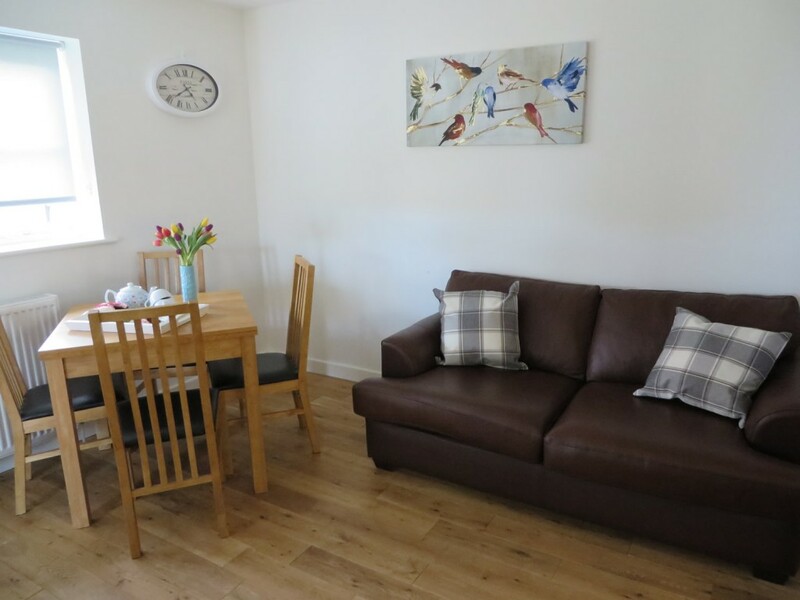 Dog friendly holidays Suffolk Coast in The Orford Apartment – A one bedroom self-catering holiday apartment on the Suffolk Coast. 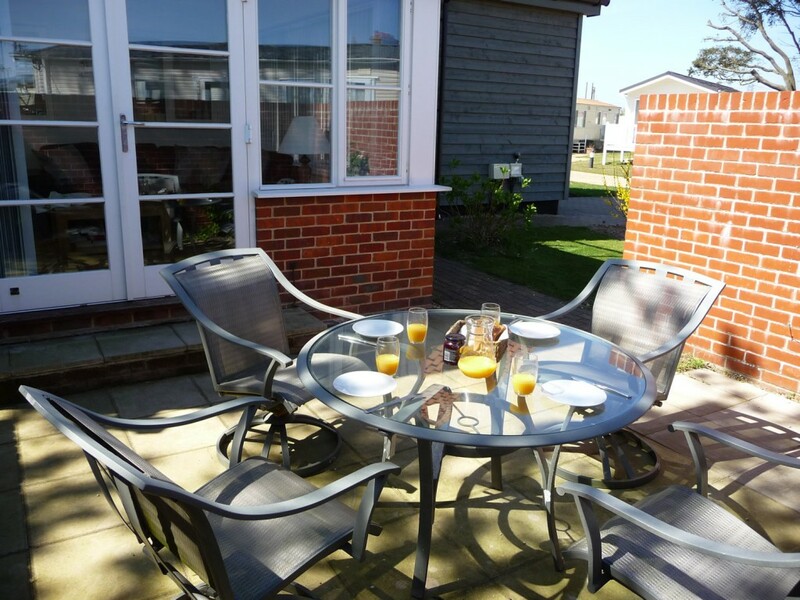 This ground floor apartment is situated close to the beach, your perfect base for visiting all the popular local areas of interest which include: Aldeburgh, Thorpeness, Snape and Dunwich. 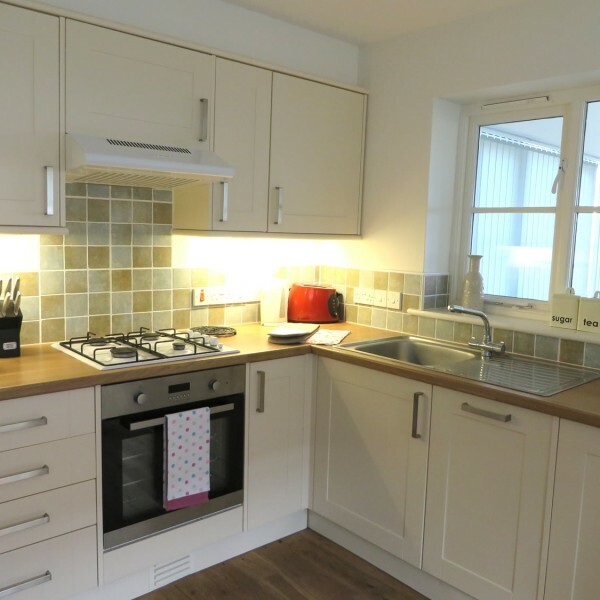 This apartment is located on the ground floor, it has a open-plan kitchen/dining area. 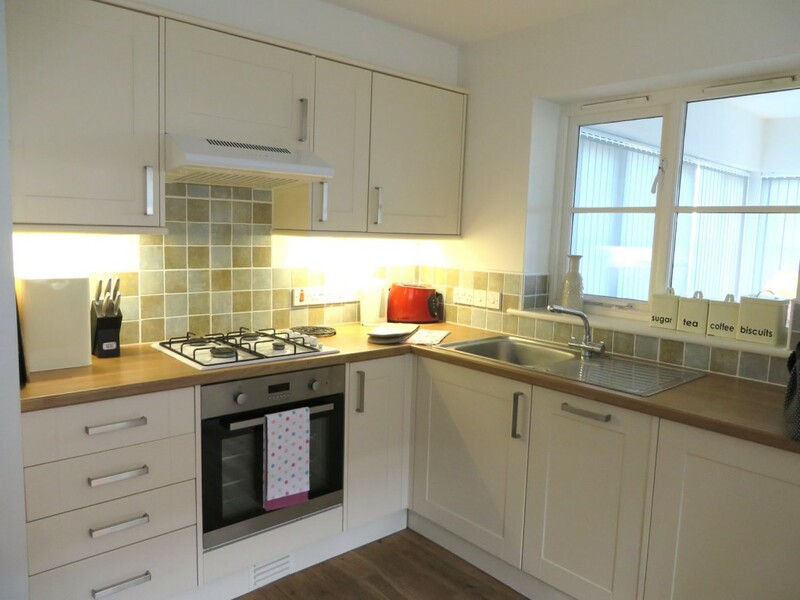 The kitchen features: an integrated oven, gas hob, microwave, dishwasher, and fridge freezer. The dining area has an oak dining table and 4 chairs. 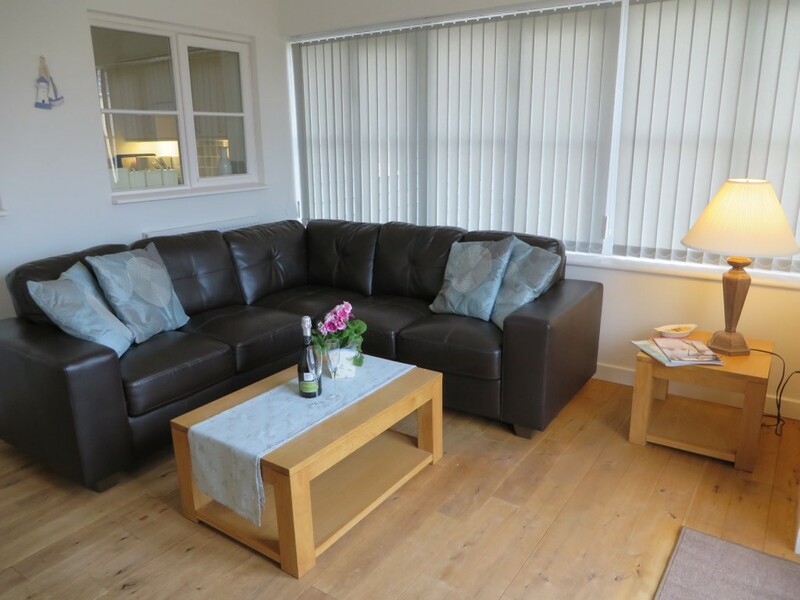 The large lounge/sun room features a leather corner sofa, coffee table and media unit with LCD TV, DVD/CD and iPod dock entertainment system, patio doors open out onto the outside walled patio area which has a picnic table. 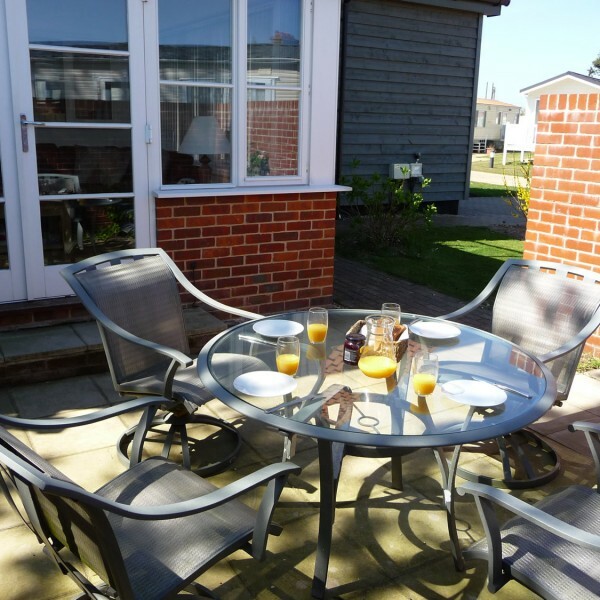 The coastal footpath runs adjacent to the apartment and you have just a 75 metre walk to the dog friendly beach. A flexible double bedroom (or twin bedroom if requested in advance), super-king size bed, bedside tables, wardrobe and drawers. Attractive white suite with a shower bath, wc, basin and heated towel radiator. 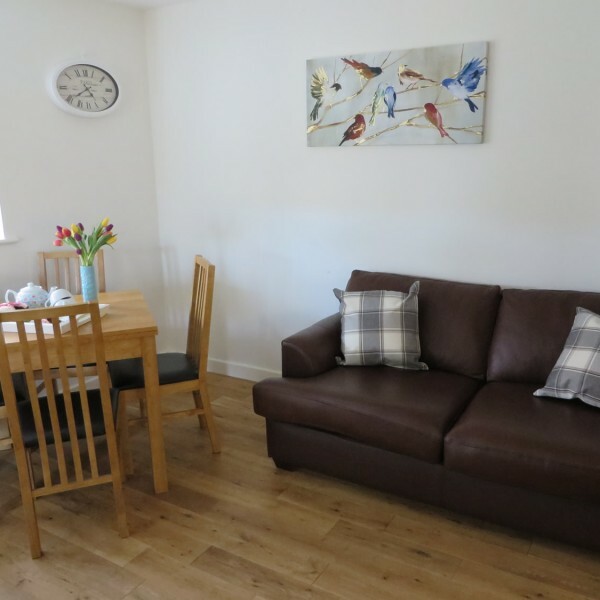 Sleeps 2 – 1 Bedroom flexible double or twin (bed linen provided). 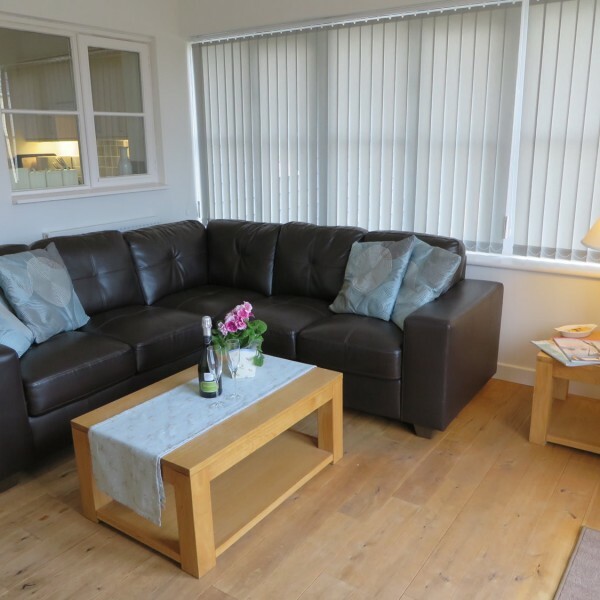 Sofa bed in dining area (sleeps an additional 2 people on request). LCD TV, DVD player with iPod Dock and Freesat. Outdoor patio area with outdoor seating.